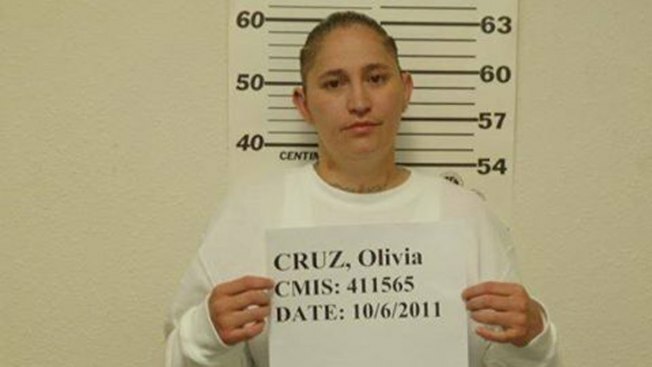 Olivia Cruz is seen in this photo distributed by New Mexico State Police. The sister of an escaped convicted murderer in New Mexico was charged Thursday with helping her brother, state police said. Olivia Cruz, 38, sister of convicted killer Joseph Cruz, is charged with assisting escape, state police said. She was already being held on unrelated warrants, NBC News reported. Police said she made contact with Cruz after he and another inmate, Lionel Clah, escaped from a prison van on March 9, and that she tried to find them a place to stay in Albuquerque. Cruz was recaptured in Albuquerque on Friday, while Clah surrendered to police on Saturday. Two other women were arrested Wednesday in connection with the escape.